I am pleased to provide you with this month's E-brief full of the latest happenings in the Town of Mount Pleasant. On behalf of Mayor Page and Town Council, I invite you to participate in all of the activities and events we have planned this Fall. We are gearing up for the Annual Children's Day Festival presented by Publix on October 16th and we hope your family will join us for a day of carnival rides, games, and performances. But don't stop there! Take it one step further and volunteer for one of our boards or commissions this Fall. We are always looking for talented citizens to dedicate their knowledge and creativity towards the continued success of our town. We are now accepting applications for both the Planning Commission and Design Review Board. Every resident and business owner plays a part in making Mount Pleasant the best community in the country. We thank our residents for their time spent volunteering and working with us to achieve shared goals. 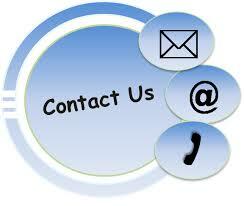 We want to continue to meet with you at Town Hall or at any of our outreach events out in the community. And thank you to our business community for helping make the recently completed 2016 Business Appreciation Week a success! We are continuing to support our businesses and local economy with the creation of the new Town Proud Program and the recently published Business Guide. Keep reading below to find out more. 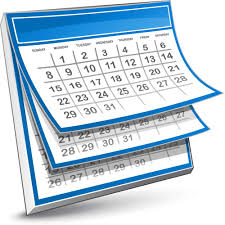 There are several upcoming meetings and events scheduled for October, so I invite you to sign up to our Notify Me module and stay updated on the latest Town news, projects, and events. For more information about all that is happening in the Town of Mount Pleasant, please visit us online, like us on Facebook, or follow us on Twitter. Learn more & apply today HERE! Shem Creek Fisheries launched a Saturday Fish Market at the Farmers Market Pavilion on Coleman Boulevard. Purchase fresh and local seafood from Shem Creek based fishermen from 8 - 12 PM every Saturday. Widening SC Highway 41 is the top legislative priority for the Town of Mount Pleasant. SC-41 is a State-owned two-lane, undivided arterial route and designated hurricane evacuation route. For more information about the Hwy 41 Widening Project, please view the latest Project Fact Sheet or visit our CIP webpage. Construction of turn lanes at Highway 41 and Joe Rouse Road to improve traffic at that intersection and allow increased "green light" time on Highway 41 are also included in the Town's CIP. Visit the CIP webpage for more information. 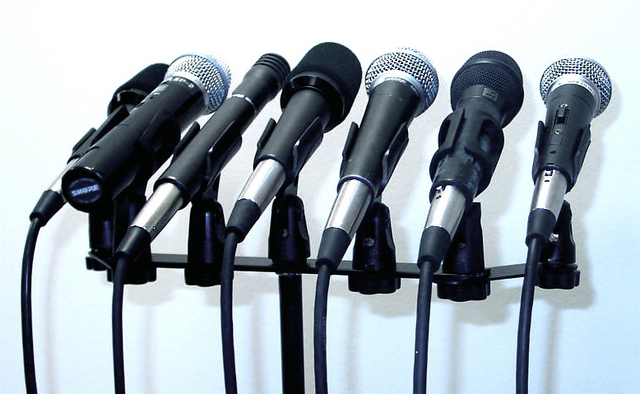 As part of the Town's ongoing efforts to increase public participation, a new online sign-up is available for those wishing to speak at the upcoming Town Council meeting. Citizens may also sign up to speak in person immediately before the Council meeting begins. For more information, please contact the Communications Office. 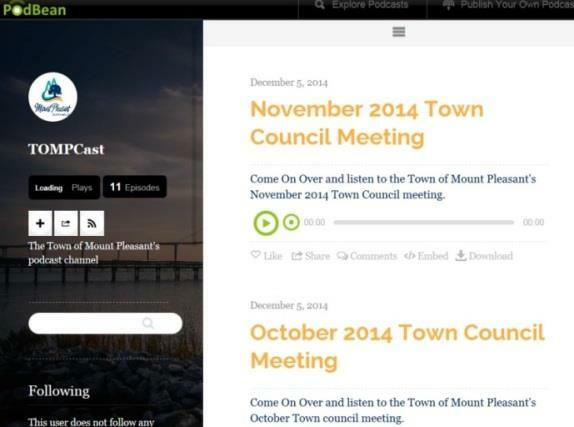 Did you know that the Town of Mount Pleasant now offers live streaming of the Town Council meetings and podcasts of both their Town Council and Committees of Council meetings? Catch up on our latest meetings by visiting our YouTube channel or our PodCast, which is available in the iTunes Store and online. Thank you to everyone who attended the presentations of the Rifle Range Road Park final conceptual plan. If you missed the presentations, you can view the slideshow from the event HERE. Come on over and take a look at the recap video for the Shem Creek Park: Phase II project. Watch the video HERE. 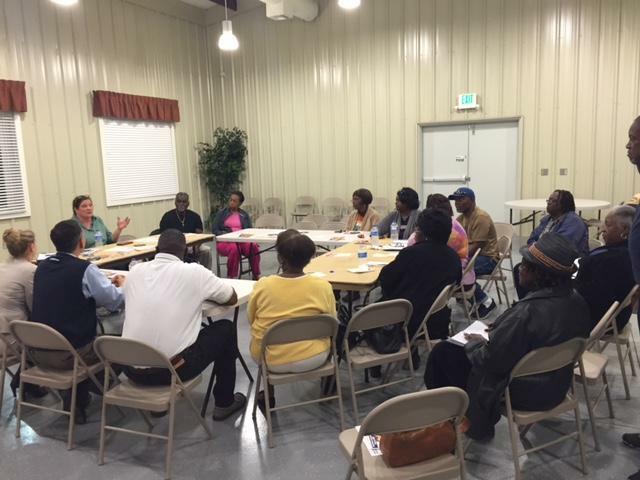 Town officials and staff are continuing to host informal roundtable meetings with community organizations, civic groups, and neighborhood associations. This small group format allows for more in-depth discussion in an informal setting. It also provides citizens with another opportunity to give their input and receive a response beyond public hearings and Town Council meetings. We want to meet with you! To schedule a community roundtable meeting with your organization or group, please contact the Executive Programs Office at (843) 884 - 8517. We look forward to meeting with you! The next Coffee with the Mayor will be held on October 10, 2016 at the Old Village Post House Inn located at 101 Pitt St., Mt Pleasant, SC 29464 from 7:30 - 8:30 AM.The event is free and open to all! Please contact the Executive Programs Office at (843) 884 - 8517 for more information. The next monthly Mobile Office Hours event will take place on October 18, 2016. Each month, the Town Administrator holds open office hours at various locations around the community. All citizens are invited to stop by and discuss items of interest to them. No appointment necessary. Additional event details will be forthcoming. For more information about this program, visit the Mobile Office Hours webpage or call (843) 884 - 8517. Don't Pitch In The Ditch! Stormwater ditches protect your property from flooding and play an important role in water quality. Thousands of miles of ditches eventually drain into larger waterways, lakes or the ocean. It is important to keep drainage ditches properly vegetated, shaped, and clear of debris. Remember- all ditches drain to our waterways! Here's Your Guide To Doing Business In Town! The Town of Mount Pleasant is pleased to announce the release of "Doing Business in Mount Pleasant," a guide to welcome new and prospective businesses to the Town. The guide is designed as a self-service document for the busy businessperson and includes everything from a checklist for getting started to ideas for celebrating and promoting a business. Is Your Business Town Proud? 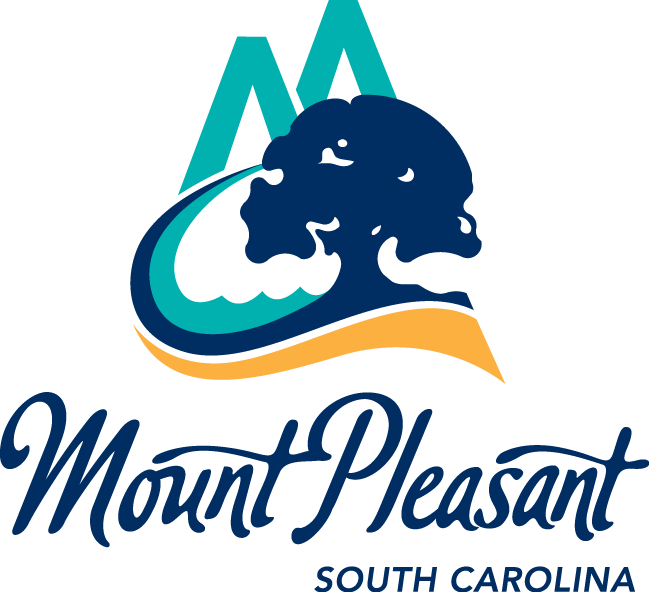 Mount Pleasant's Town Proud program helps residents, visitors, and business owners identify local businesses that are rooted here and make our coastal community so unique and resilient by diversifying our economy. By recognizing these businesses, we celebrate and promote the character, flavor and culture of this place we call home. Old and new traditions meet annually at the Mount Pleasant Children's Day Festival as children have their pick between time-honored festival games and old-fashioned pony rides, enormous inflatable slides and jump castles, live entertainment, wall climbing, face painting, and many other activities. All activities are free and food concessions are offered for sale as a fundraising opportunity for East Cooper schools. For more info, click HERE. Interested in participating in the 21st Annual Christmas Light Parade? Float applications are now available online and can be accessed HERE. Entry is only open to organizations and companies within the Town of Mount Pleasant until October 1, at which time entries will be accepted from entities outside town limits. For more information, click HERE.